I first stumbled across the term “alt-right” during my dissertation research in 2014, specifically as I was slogging through the thousands of threads and comments about GamerGate. A variety of alt-right Twitter figures and bloggers became regular names to me and I was often struck by their strong reliance on anti-intellectual opinion leaders who thrived outside of the traditional modes of knowledge production. While conservatives and the GOP have often regarded academics, scientists and journalists with skepticism, the alt-right has declared an outright war on knowledge produced by these institutions and individuals. Figures like Alex Jones and Milo Yiannopolous routinely reject facts established by credible sources in favor of “alternative facts” and conspiracy theories that support their political opinions and narratives. Their audiences lap up their anti-intellectualist posturing and regurgitate their misleading statistics and analysis across social media and the web with tremendous success. If that wasn’t enough, Donald Trump’s “successful” presidential campaign has further solidified the alt-right’s conviction that anti-intellectualism is an effective political tool to dominate the American political process, and they aren’t wrong about that. For Gramsci, intellectuals are not just the ivory tower elite; they give a voice to political groups, and, if anything, the alt-right has a voice? But, if they are so steeped in distrust of those we traditionally consider intellectuals, what do the intellectuals of the alt-right look like? Is it possible to have an anti-intellectual, intellectual? For Gramsci, everybody has the potential to be an intellectual, but only a select few are afforded the opportunity to function as such. 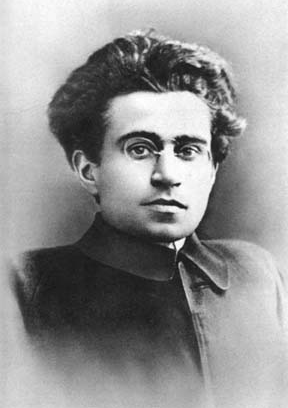 Opposing more popular conceptions of individuals who uphold transcendental values by disengaging from society, Gramsci sees intellectuals embedded within the classes of society and culture. As Kate Crehan (2016) explains, for Gramsci, “what defines people as intellectuals is not a particular set of mental skills, but the role they have in society. Intellectuals are not simply those who think, or think in a particular way, but those whose thoughts and pronouncements are considered to have a certain weight and authority” (p. 27). Essentially, intellectuals are the producers of knowledge for certain political/historical groups. Certainly, the image of the intellectual as a disengaged, transcendent authority on all subject metaphysical and corporeal is not completely inaccurate. Gramsci calls these “traditional” intellectuals who produce specialized knowledge through an “espirit de corps” with the “uninterrupted historical continuity and their special qualification” in a given field (SPN, p. 7). Academics, doctors, scientists, and journalists are models of traditional intellectuals who draw on a specialized understanding of their field to produce new knowledge. However, Gramsci also points to a second type of intellectual that arises “organically” out of an emerging historical bloc. As a subjugated class organizes and finds a voice, it also creates organic intellectuals which “are for the most part ‘specializations’ of partial aspects of the primitive activity of the new social type which the new class has brought into prominence” (SPN, p. 6). As a political class gains power, organic intellectuals emerge who bring into being “new forms of knowledge and new institutional structures. Specific kinds of intellectuals will emerge out of particular conditions that define a given class; intellectuals capable of producing the forms of knowledge that class needs” (Crehan, 2016, p. 31). The knowledge produced by organic intellectuals does not rely on traditions of knowledge production, but rather structures of feeling common to the class from which they have emerged. So, organic intellectuals emerge from classes and groups who cannot rely on traditional models of knowledge. Gramsci refers to these groups as the “subaltern.” For Gramsci and many of his intellectual followers, organic intellectuals represent an important step for a group who has been marginalized and subjugated to assert political power as a group and influence political change. We can see figures like Martin Luther in the 16th century as an organic intellectual, advocating for the German subaltern against hegemony of the Holy Roman Empire; likewise, can see figures like Martin Luther King Jr. and Malcolm X in the US as organic intellectuals speaking for the black subaltern during their quest for political agency in the 1960s. After the work of Gayatri Spivak and the subaltern studies group in the 1980s, contemporary scholars often equate subalternity with groups who are marginalized by their race, gender, sexuality, or geographic location (i.e. the global south). However, Crehan (2016) emphasizes that “Gramsci’s concept of subalternity encompasses subordination in all its many forms, including internalized subordination” (17). Thus, individuals can identify with the feelings of subalterneity, even if they are generally understood by society as part of the culturally dominant group. I think this is a productive way to understand the success of Donald Trump’s campaign, and the rise of the alt-right at large. While primarily made up of those typically not considered to be in the subaltern (white males), members of the alt-right see themselves as a historical bloc that has been subjugated by political correctness, feminism, and “SJWs.” They have internalized a vision of their class and their subjectivity as suppressed by traditional intellectuals who spread messages of diversity and inclusion. The knowledge produced by traditional intellectual institutions has not provided any of the benefits members of the alt-right assume they should be receiving. Success in America often appears as a zero-sum game, and for many on the alt-right, diversity for others equates to exclusion for them. Traditional intellectuals who support feminist causes and diversity initiatives can clearly not be trusted to produce knowledge that will benefit the alt-right subaltern. Thus, organic intellectuals have emerged to help organize the alt-right as a voting bloc and produce knowledge that supports their cause. What do these organic intellectuals from the alt-right look like? In a recent report from Data & Society, Alice Marwick and Rebecca Lewis provide a valuable taxonomy of the different groups that form the overarching collective of the alt-right, including men’s rights activists, GamerGaters, and white nationalists, as well as the methods they use to manipulate media outlets. Marwick and Lewis describe how many members of the alt-right have recruited young, alienated men by disguising their motives. “Far-right movements,” they argue “exploit young men’s rebellion and dislike of ‘political correctness’ to spread white supremacist thought, Islamophobia, and misogyny through irony and knowledge of internet culture.” By adopting the discursive poetics of internet culture (memes, anonymity, irony), members of websites like The Daily Stormer are able to mask their hate-speech under the guise of irony. If Poe’s Law holds, actual bigots can post white nationalist propaganda on forums like 4Chan and Reddit while being able to deny actual intention of radicalization, and young, impressionable readers will still be introduced to radical, far-right ideologies without recognizing their insidious implications. What fascinates me about this conundrum, is that for the last couple of decades, irony has been considered primarily as a political tool of the left. As I have argued here, shows like The Daily Show with Jon Stewart and The Colbert Report rely on logics of digital technology and the politics of irony to critique those in power. In her classic essay, “A Cyborg Manifesto,” Donna Haraway argues that through the coupling of humans and machines, an alternative political ontology could develop that would promote a socialist-feminist alternative to male-dominated discourses of power that subjugate marginalized communities. In the opening paragraph, Haraway argues that “irony is about humour and serious play. It is also a rhetorical strategy and a political method, one I would like to see more honoured within socialist-feminism. At the centre of my ironic faith, my blasphemy, is the image of the cyborg.” For Haraway, irony could be a vital rhetorical strategy for leftist politics in the digital age, where the Marxist tradition has fused with feminism to enact the politics of a cyborg. However, irony has also become a tool of alt-right intellectuals who (a) wish to disguise their true motives by being able to say “it’s just a joke” (see Marwick and Lewis’s argument), or (b) ironically appropriating the language and strategies of traditional intellectuals on the left. Noted neo-Nazi and face-punchee, Richard Spencer is the quintessential version of the ironic, organic intellectual who draws on the aesthetics and strategies of the left to advance a white-nationalist agenda. A dropout of Duke’s PhD program, Spencer has spent the last several years building a space for white nationalists and Nazi’s online under the guise of intellectual honesty. His “think tank,” The National Policy Institute (NPI) advances research “dedicated to the heritage, identity, and future of people of European descent in the United States.” While the NPI hasn’t published anything that’s not a YouTube video since 2015, Spencer’s journal, Radix maintains a relatively active publication schedule between its blog and “journal.” While I could spend a lot of time diving through articles and pinpointing how they support white nationalist ideologies, misogynistic viewpoints, I’m actually most interested in how this blog (and it is a far cry from a journal, no matter how many times they say it is) affects the tone of academia in the “About” section: “RADIX publishes original work on culture, race, tradition, meta-politics, and critical theory.” This is the center of RIchard Spencer’s ironic faith: a blog that has an in-depth conversation about “The Jewish Question” claims to be using critical theory; a blog that celebrates the thinking of Madison Grant and John Tanton (two pro-eugenics “scholars”) claims to be using critical theory; a blog that publishes the sentence, “generally, women are less loyal to the tribe into which they are born than are men” claims to be using critical theory. There is nothing in the history of critical theory that has anything to do with this “journal.” There are two general uses of the term critical theory: (a) a wide-ranging philosophical questioning in the nature of being, society, culture and the economy, generally situated within the tradition of continental philosophy, and (b) the Marxist tradition of social theory as interpreted and critiqued by the Frankfurt School of German, Jewish, theorists. Scholars like Theodor Adorno, Jürgen Habermas, Michel Foucault, Slavoj Žižek and Paulo Friere afford no spaces in their work for the fascist, neo-Nazi ideologies propagated by Spencer and his ilk. By adopting the phrase “critical theory” to describe his blog, Spencer is ironically establishing his “intellectuality” while eliding the entire intellectual history of the term as a form of resistance against his school of thought. I think it’s entirely possible that the ironic-intellectual is the most pernicious form of organic intellectual that is arising from the the alt-right. By adopting the language of traditional intellectual discourse, the ironic intellectual produces knowledge that looks like knowledge produced through traditional methods. As Marwick and Lewis note, this opens up the “Overton Window” of what is politically acceptable in political discourse under the guise of intellectuality. Organic intellectuals like Richard Spencer adopt the linguistic, visual and sonic aesthetics of what is politically acceptable, and then rework it to incorporate ideas that are not acceptable, thus normalizing white supremacy and fascism. I think it is important to keep the historical circumstances of Gramsci’s writing in mind when discussing his understanding of intellectuals. His most famous work, The Prison Notebooks, were written during his imprisonment by Mussolini’s fascist government who wished to stop his mind from functioning for twenty years. Given the nascent worry by traditional intellectuals about the rise of fascism in the US, his thoughts concerning the role of intellectuals in public life, and their formation from the subaltern, bear increasing relevance in the contemporary political sphere. But when Gramsci discussed traditional and organic intellectuals, he saw the traditional intellectuals stemming from bourgeois society, and the organic intellectuals arising out of the proletariat. Gramsci notes “the absence to a considerable degree of traditional intellectuals” in the US at his time, and contends that this absence connects with both “the existence of only two major political parties, which could in fact be easily reduced to the one only” (SPN, p. 20). This trend continues, but the political ideologies have shifted; the alt-right represents an alienated class from which organic intellectuals have grown to challenge the traditional intellectuals, while the traditional intellectuals of academia, journalism and the sciences are defending the left. Given the alt-right’s distrust of the GOP and the conservative establishment (as well as the Democrats, and the left at large), it makes sense that they need organic intellectuals to produce their knowledge, rather than relying on the intellectual traditions typical of conservatism. However, because of their intense distrust of anything remotely connected to traditional knowledge production, they are left with organic pseudo-intellectuals who radicalize individuals to their cause through ironic adoption of the left’s aesthetics and language. The results of the rise of the organic, ironic intellectual in the alt-right are also seen in the policies of their leader, Donald Trump. As he works to repeal Obamacare and reduce the budget by slashing education and social welfare budgets (policy decisions many of his voters hoped would improve their live), he is ironically afflicting his own constituents with the most damage and aiding the wealthiest in the nation. Because the intellectuals for the alt-right function ironically, their bloc is ironically voting against their own self-interest. People like Richard Spencer can help organize the historical bloc who voted Trump into power, but because the bloc organizes around knowledge that is produced ironically, they end up on the losing side of the policies enacted by those they elect to govern. Given the success of these ironic intellectuals to discourage trust in the traditional intellectual that populate the ivory tower and the press, how are we to combat them? Perhaps the solution is no longer to adopt the politics of a cyborg, but return to the politics of the human. Perhaps we need to reject Richard Spencer’s ironic production of knowledge with sincere, honest discussion; perhaps we need to reach out to the organic intellectuals of the alt-right and offer them the tools produce knowledge that affords a better life to the class of people they represent. Perhaps … we need to punch them in the face. * SPN = Gramsci, Antonio. Selections from the Prison Notebooks. Edited and translated by Quentin Hoare and Geoffrey Nowell Smith. New York: International Publishers, 1971. Full text. Crehan, Kate. Gramsci’s Common Sense: Inequality and its Narratives.” Durham, NC: Duke University Press, 2016. Haraway, Donna J. “A Cyborg Manifesto: Science, Technology, and Socialist-Feminism in the Late Twentieth Century.” In Simians, Cyborgs, and Women: The Reinvention of Nature. 1st ed. New York: Routledge, 1991. 149–182. Marwick, Alice and Rebecca Lewis. “Media Manipulation and Disinformation Online,” Data & Society. May 15, 2017. Manson, Mark. “Everything’s Fucked and I think it’s the Internet’s Fault.” MarkManson.net, Feburary 23, 2017. Springer, Noah J. “Cyborgs in the Newsroom: Databases, Cynicism, and Political Irony in The Daily Show.” In How Television Shapes Our Worldview: Media Representations of Social Trends and Change, edited by Deborah A. Macey, Kathleen M. Ryan, and Noah J. Springer. Lanham, MD: Lexington Books, 2014. Wilson, Jason. “Hiding in Plain Site: How the ‘Alt-Right” is Weaponizing Irony to Spread Fascisim.” The Guardian, May 23, 2017.